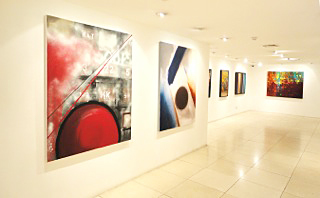 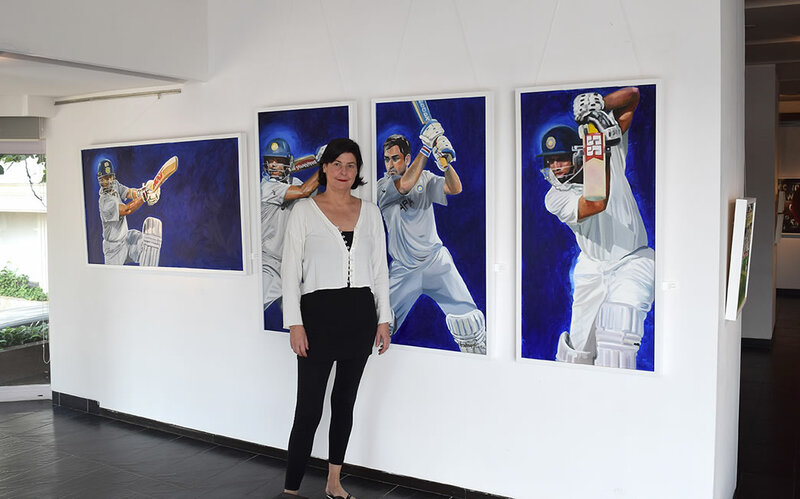 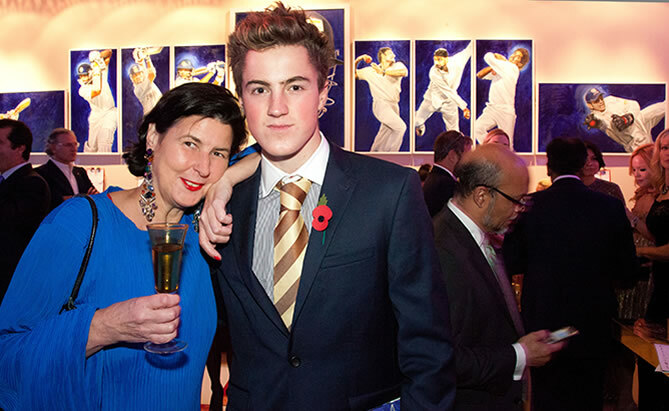 In November 2014 The Tao Gallery, Mumbai’s premier Art Gallery, hosted a large solo exhibition of Christina Pierce’s Cricket paintings. 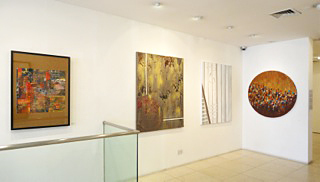 Included amongst the work was her largest sized piece to date. 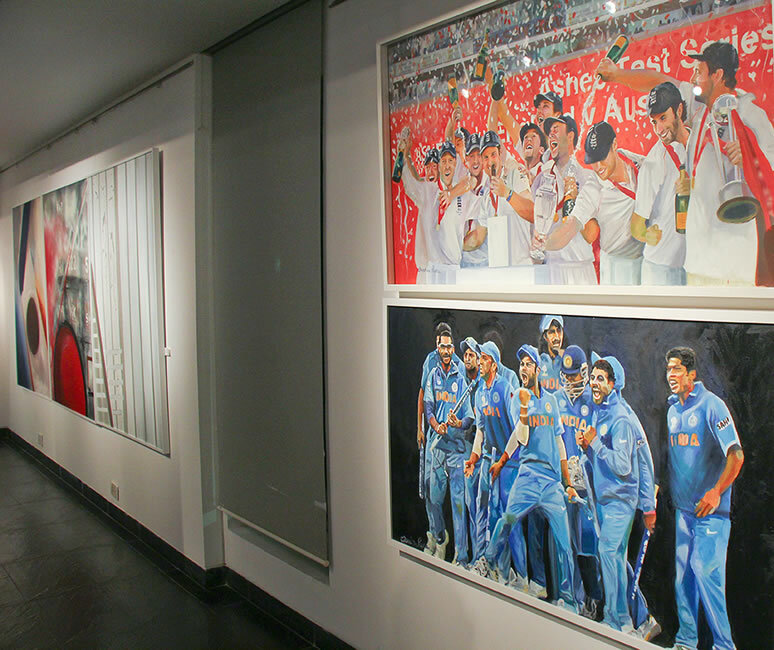 ‘The icons of India’ , a hugely ambitious piece celebrating ‘the Gods’ of Indian cricket with Sachin as the centre piece and focus. 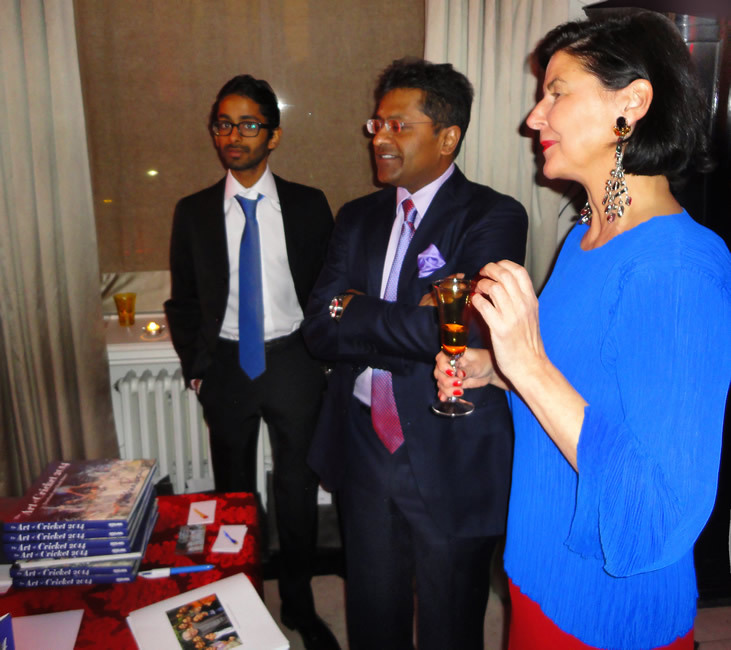 Although the parts work as separate entities, when seen together, bound with the royal blue of India, they become like a spectacular Orthodox icon. 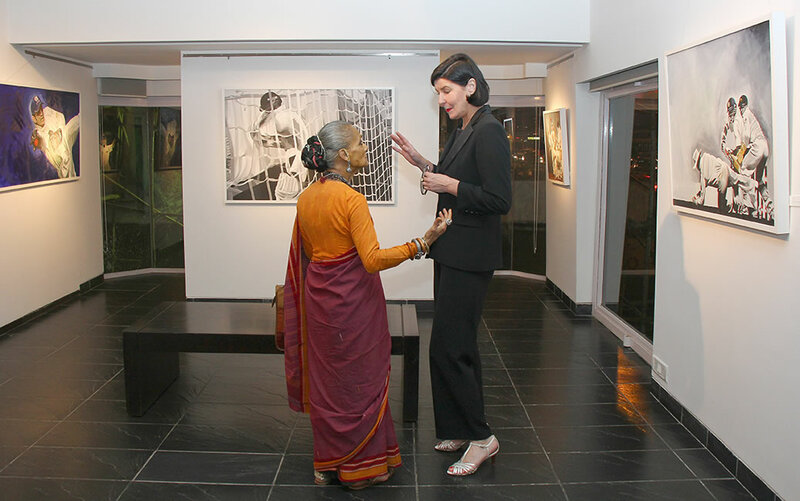 Other strong images on display included her ‘Nets’ series. 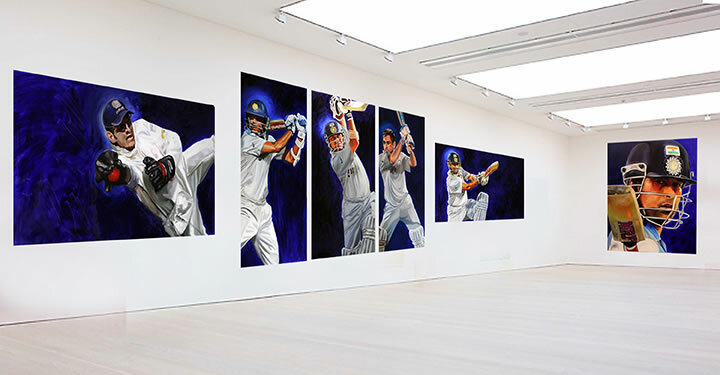 These paintings, painted only in tones of black and white, almost belong outside the world of cricket, balancing on the fine line between depiction of an action and an expression of feeling. 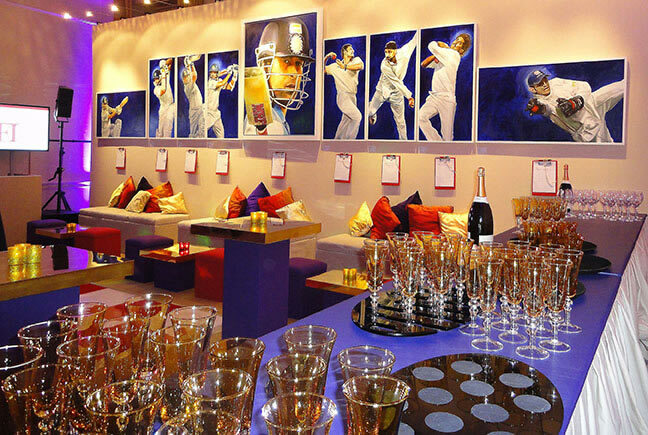 The even larger sized Graffiti and Action paintings with their high impact energy and colour break the barrier further - you do not have to be a cricket fan to appreciate their excitement. 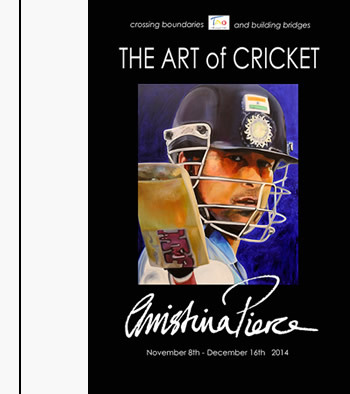 Over recent years Christina has attacked the Art of Cricket in a number of ways and this show celebrates them all. 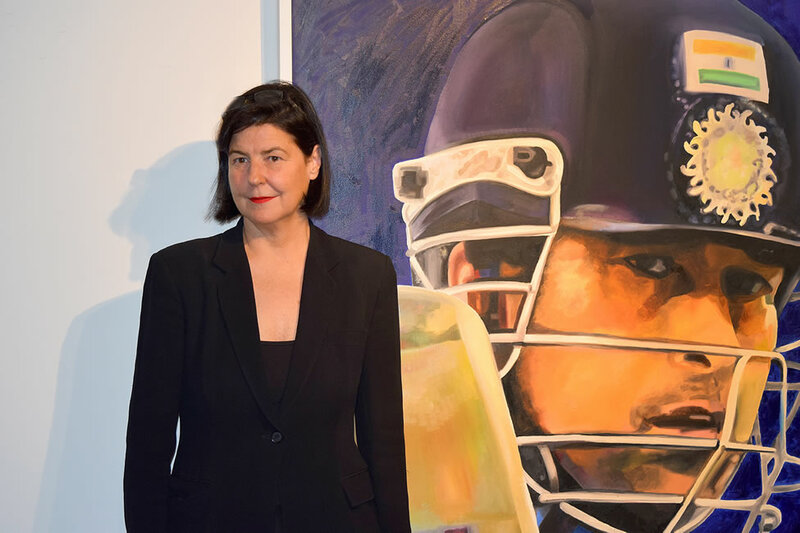 From small ‘pitch side’ oil sketches to 6’x4’ mixed media Abstracts, her fresh, fearless approach and unfailing touch with colour and composition has shown she has no competitor in this field. 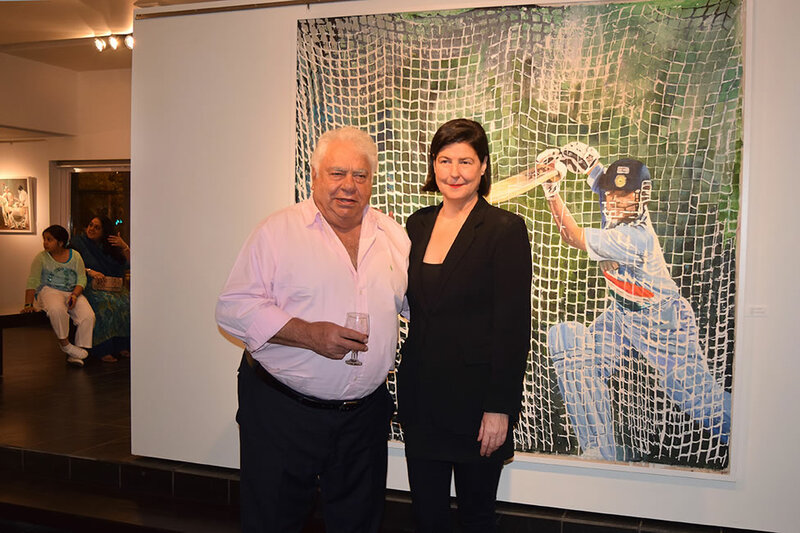 Christina Pierce has worked closely with Arts for India to raise money for the Delhi based International Institute of Fine Arts with Auctions and Exhibitions at Kent House, The Barracuda, Albemarle Gallery and the Taj Hotel. 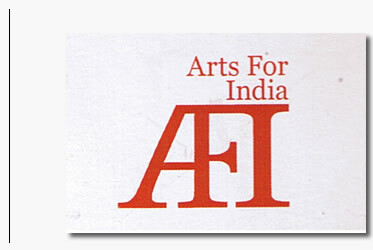 Arts for India was established in 2010 to support the development of the Delhi-based International Institute of Fine Arts (IIFA). 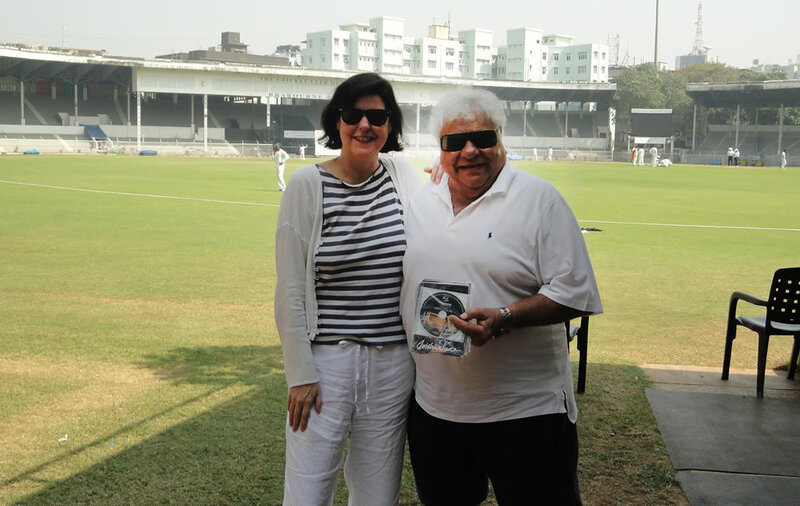 IIFA was itself established by Satish and Abha Modi in the year 2000 to offer a quality education in the arts, fashion and cinema. 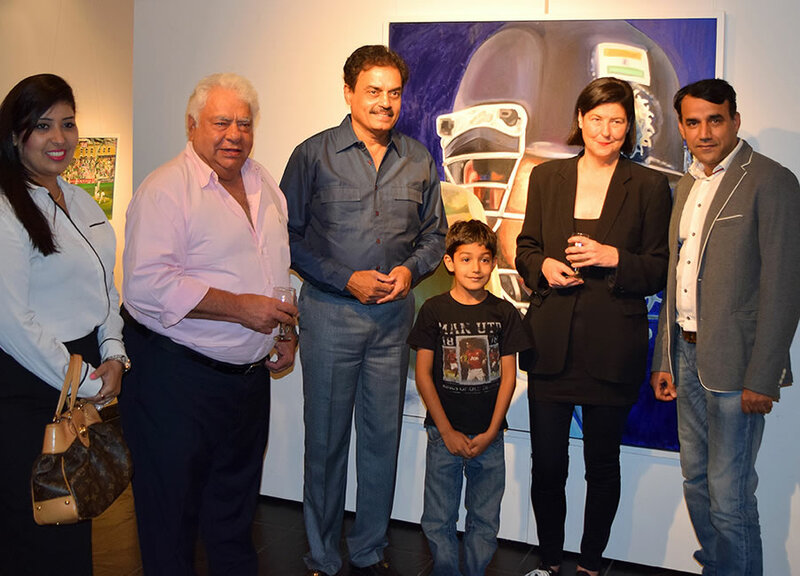 A private-sector solution to chronic public underfunding of the arts is desperately needed in India and IIFA has become a leading international art school. 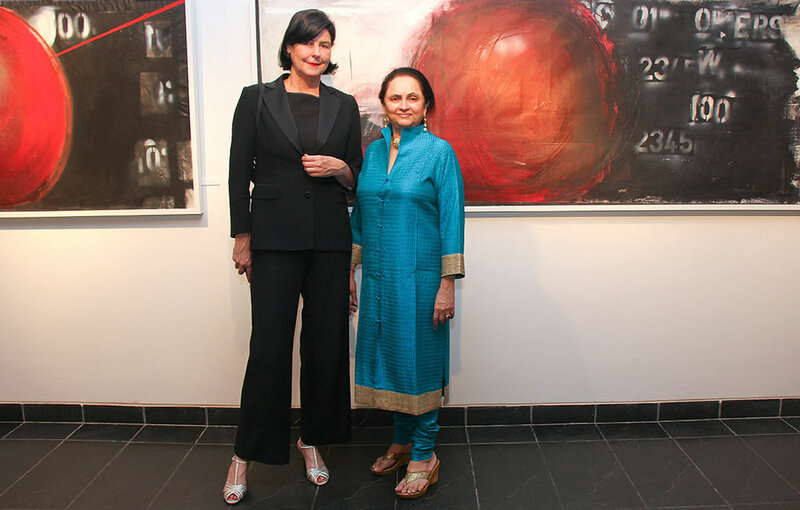 IIFA now educates over 375 students in fashion, textiles, film and animation. 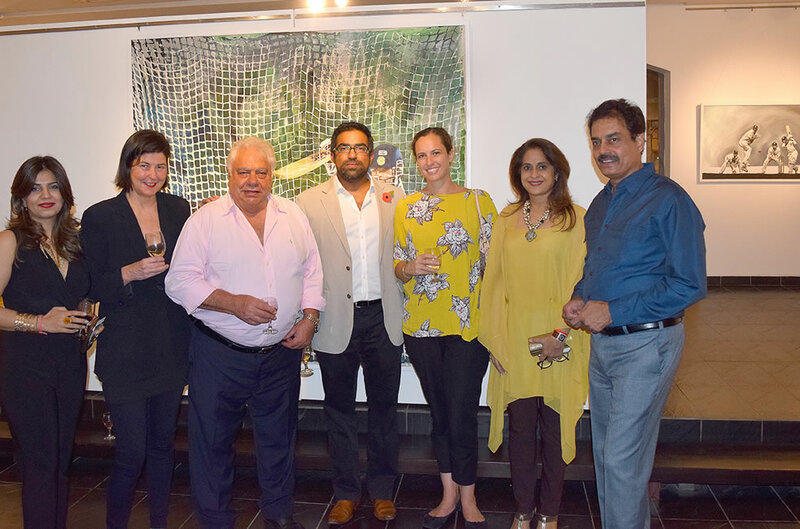 A number of these students are fully financially supported through their studies via the Arts for India Four Year Scholarship Fund which means potential creative stars of tomorrow are able to study at IIFA for free. 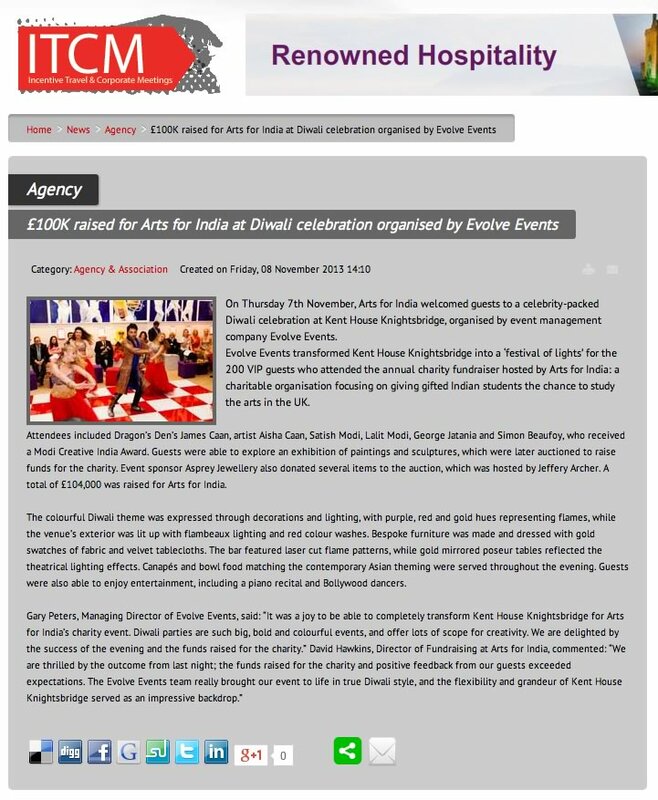 Thus Arts for India is a uniquely Anglo-Indian organisation which aims though education, culture and art to further strengthen the relationship between India and the United Kingdom. 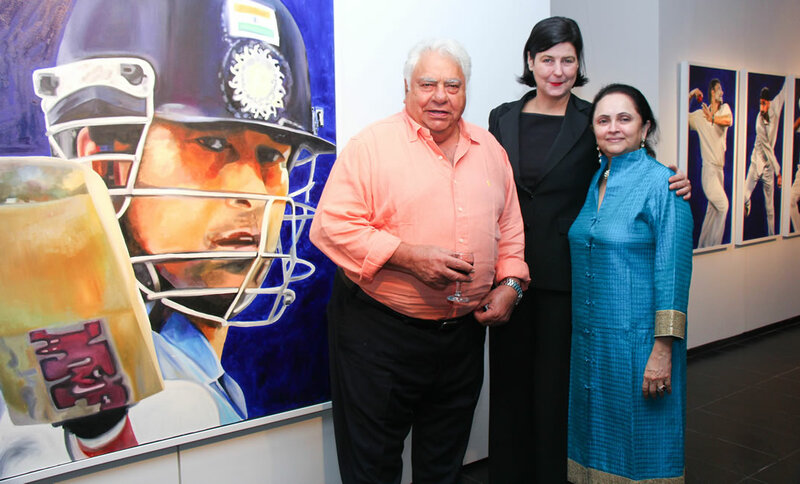 What defines IIFA is its educational partnerships - the first with the Prince's Drawing School (President HRH The Prince of Wales) and the second with the University of the Arts London. 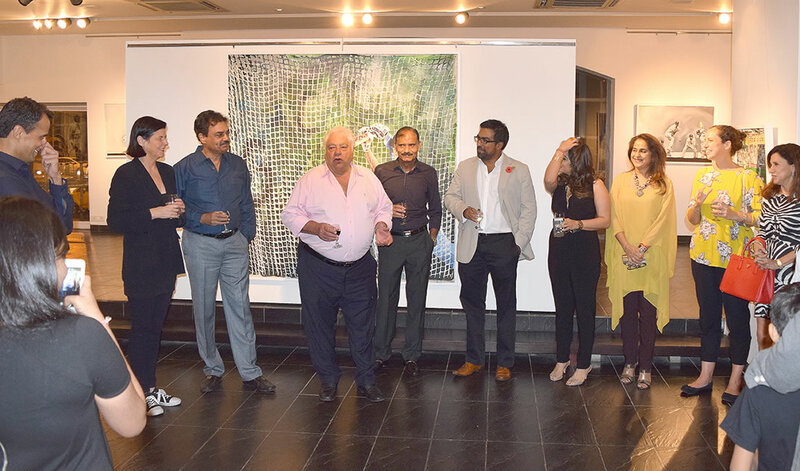 The partnership with the Prince's Drawing School started in 2010, and since that time, each year 4 alumni students have travelled to Delhi to spend 2 months teaching and improving their own practice through interaction with a new and rich culture. 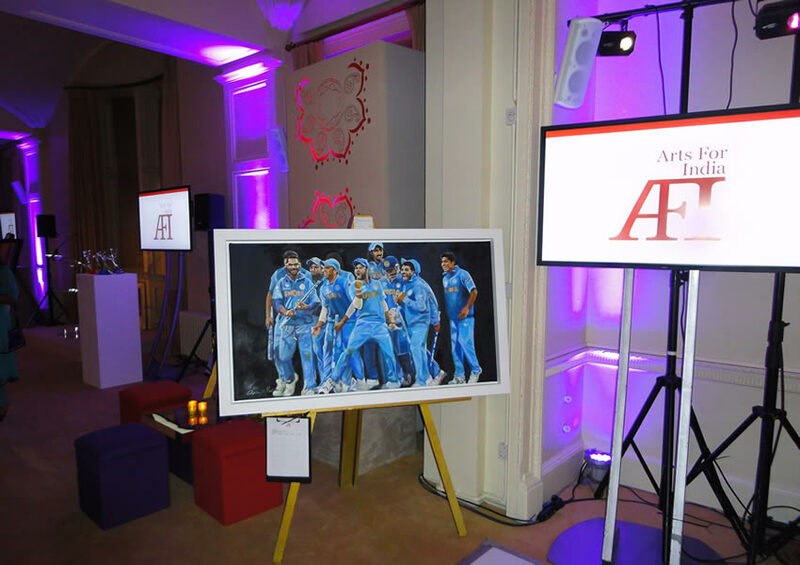 The India Icon paintings were up for auction at the Diwali Dinner, which took place in Kent House, Knightsbridge on 7th November 2013 , with Jeffrey Archer as auctioneer. 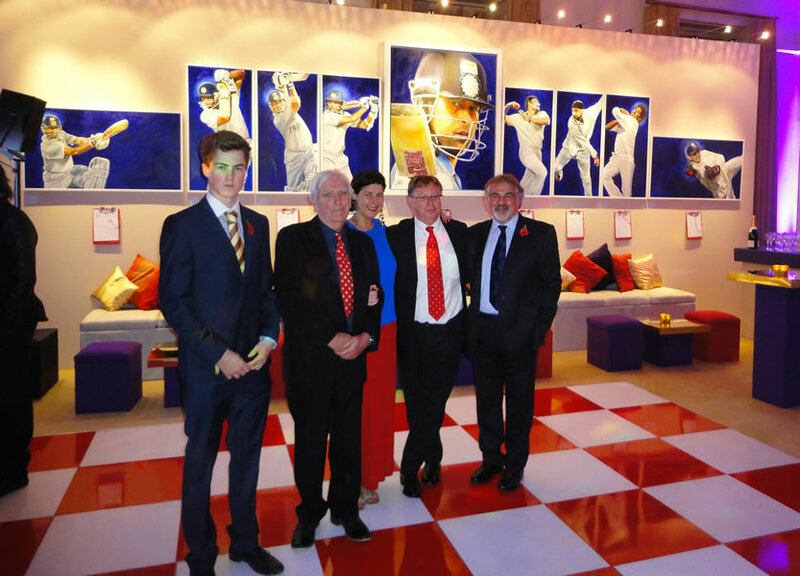 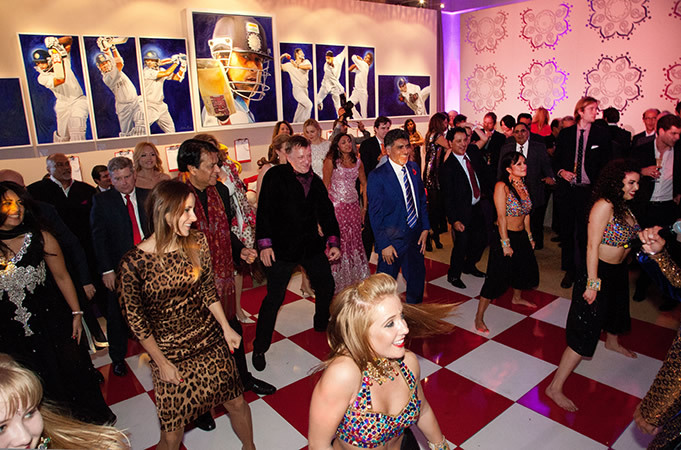 Click here for more images of the Arts for India fundraising event.